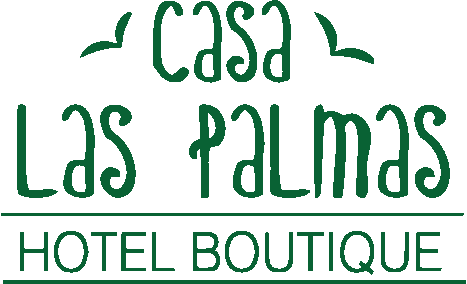 Casa Las Palmas Hotel Boutique guest services staff welcomes you! Begin to relax the body and soul, clear the mind and let yourself go; know the magic and charm of each corner of this paradisiacal place, enjoy the beaches, the warm weather and the great shows that the sky offers when the go out and the sun fall, that your stay becomes a real dream come true. Exquisite dishes from San Andrés native and typical cuisine, where fish, lobster, snails, prawns and other diverse seafood predominate. 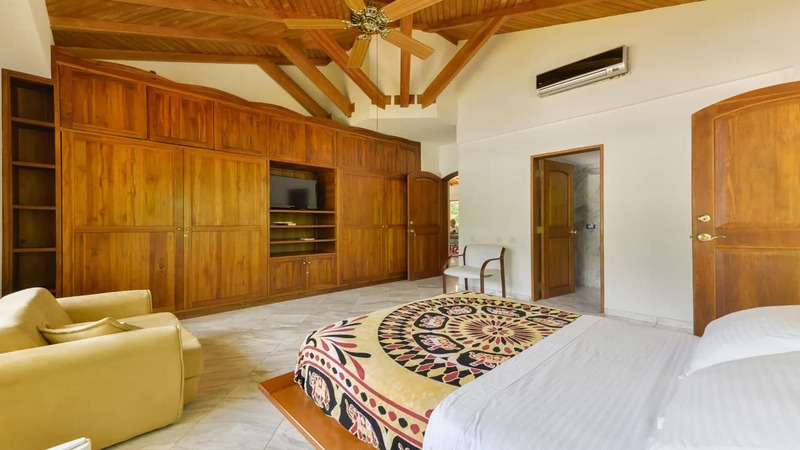 We offer you ten (10) spacious rooms with the comfort and comfort you have always dreamed of enjoying in your relaxation trips. 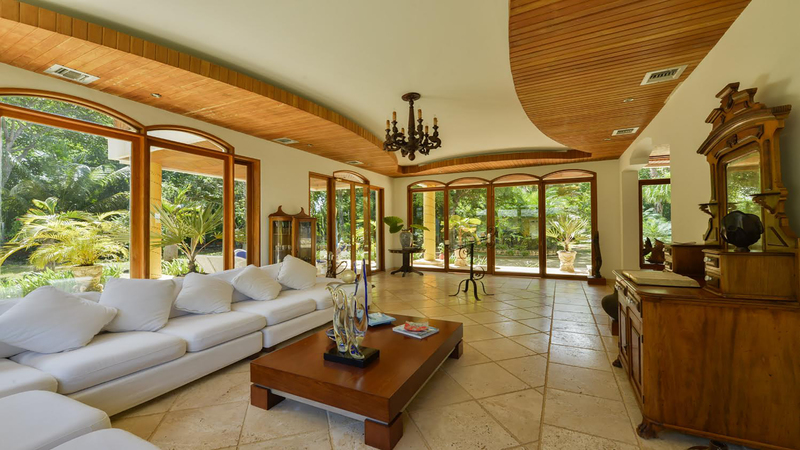 The exclusive finishes in the interiors and exteriors of Casa Las Palmas, will make you feel in an unforgettable place as you have always dreamed. 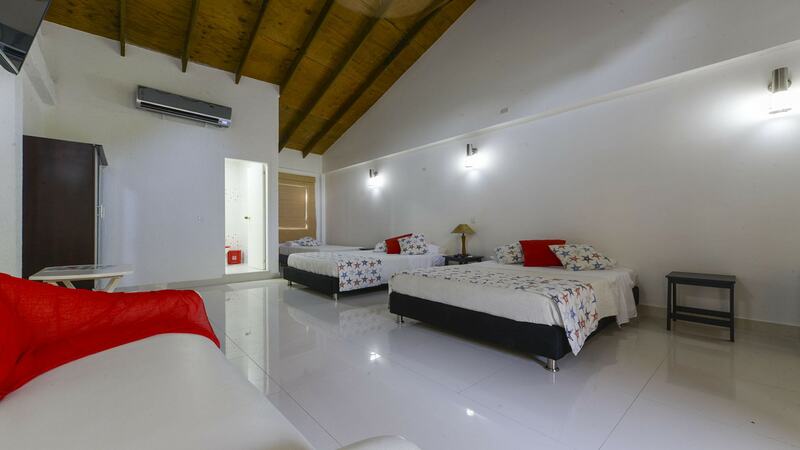 At present the Hotel has ten (10) rooms of excellent finishes with high level of service to the guest. 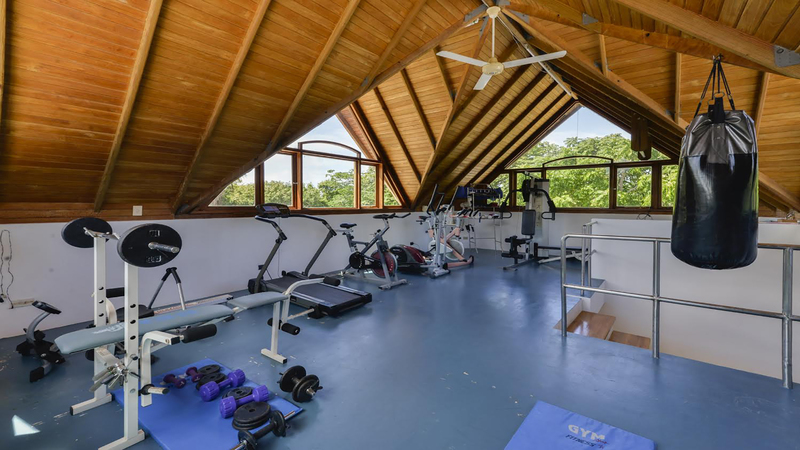 details of prices, valuation and the endowment that has that type of room. 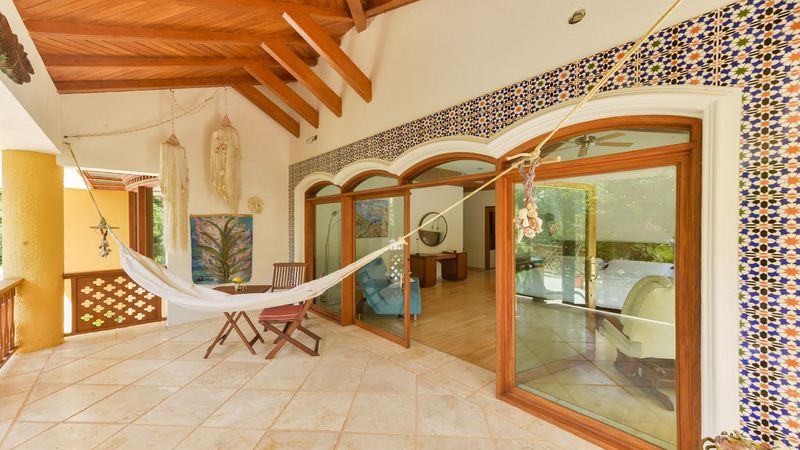 Room located in the boutique house with private and furnished terrace overlooking the pool. 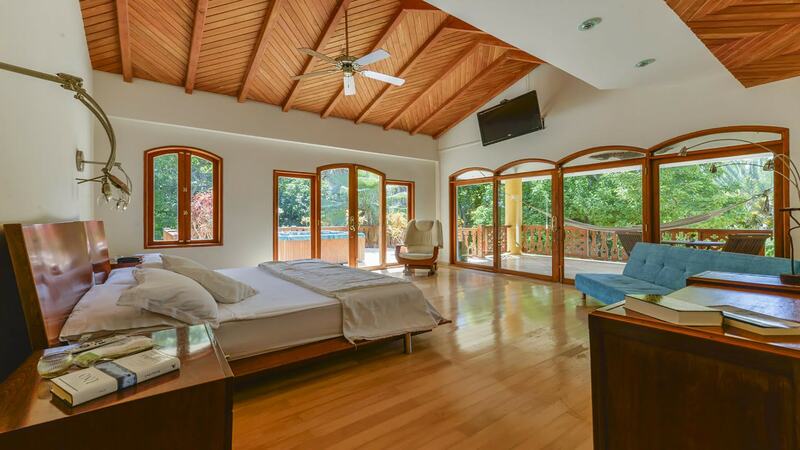 It has air conditioning, free Wi-Fi, a minibar and a flat-screen cable TV. 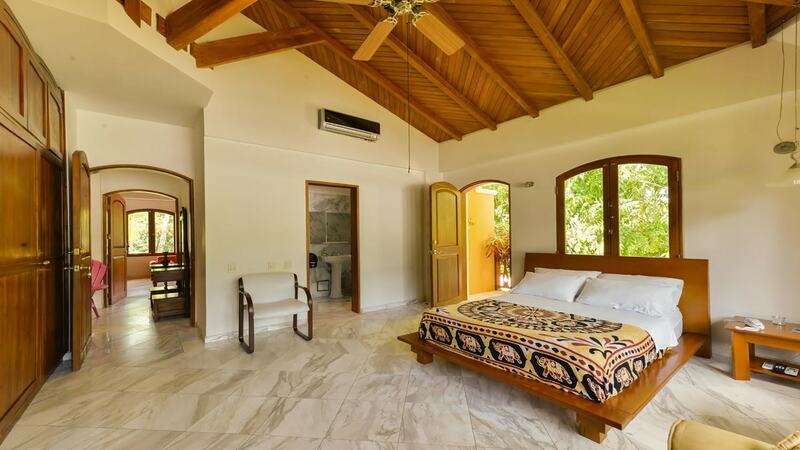 Room located in the boutique house overlooking the pool, air conditioning and private patio. 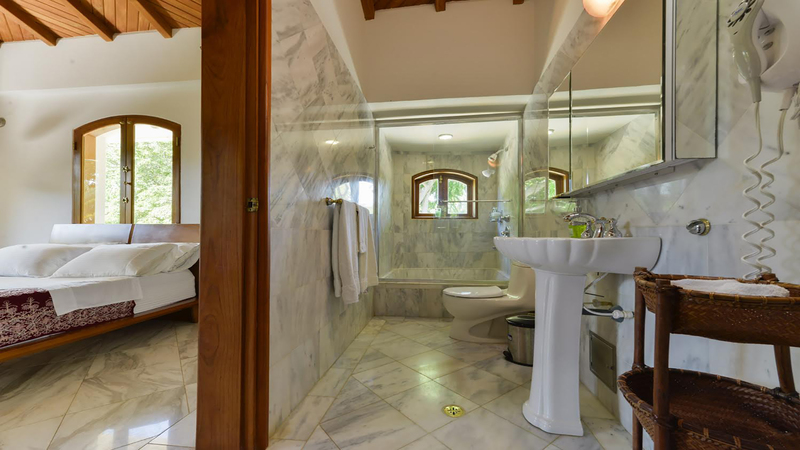 It has ceramic tile floors and a private bathroom. 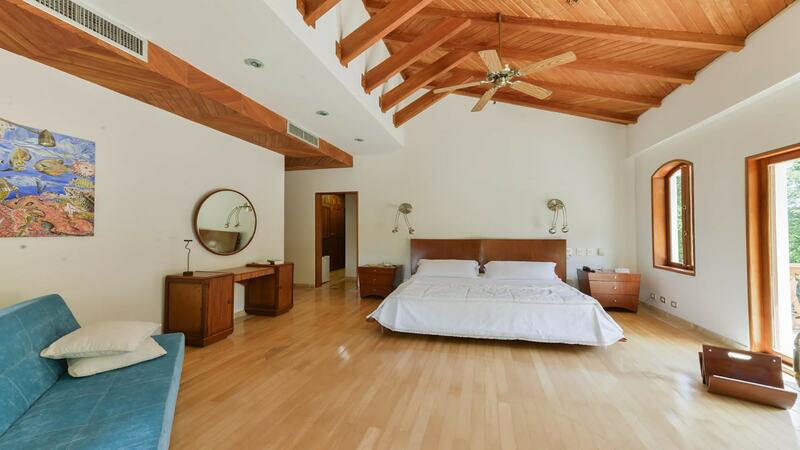 This room is located in the standard area, adjacent to the boutique house, it has air conditioning and a private patio. 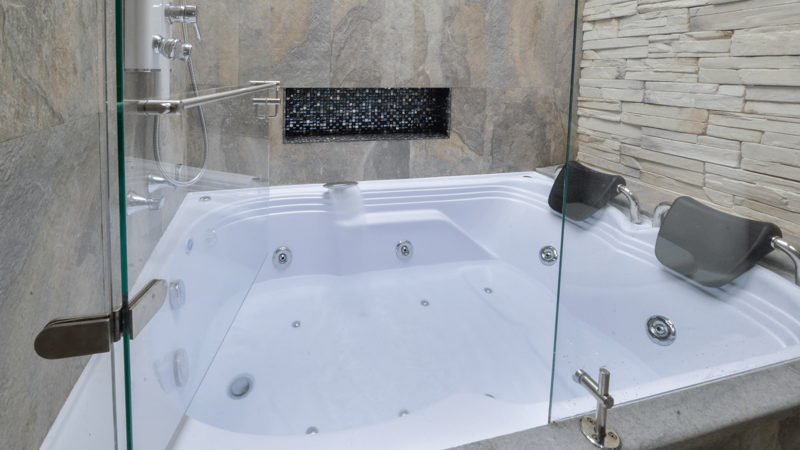 It also has ceramic floor and bathroom. 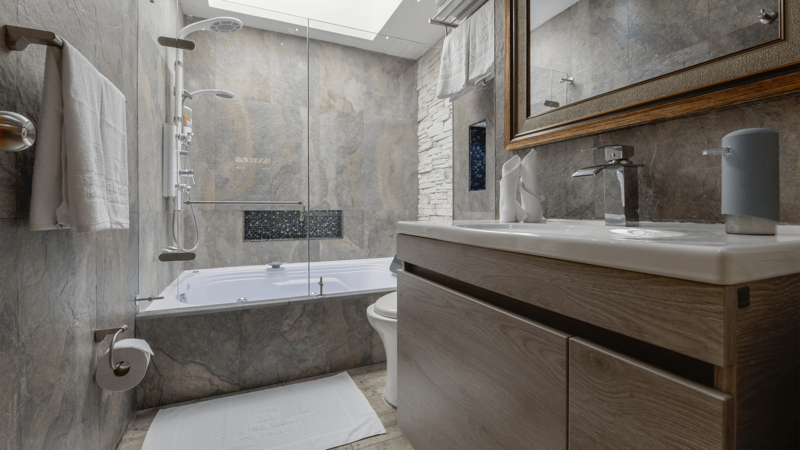 Triple room located in the standard area, adjacent to the boutique house, with air conditioning, minibar and patio. 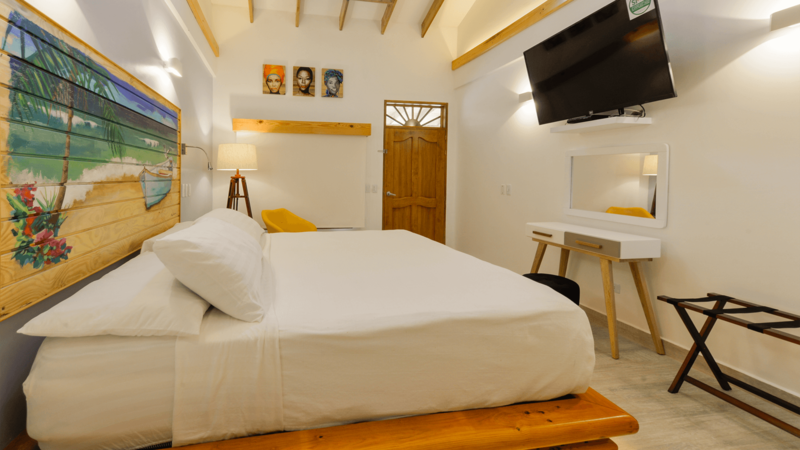 We adopted in our policy the Sectoral Technical Norm NTS-TS002, which constitutes a set of legal protocols that regulate the tourist accommodation activity. 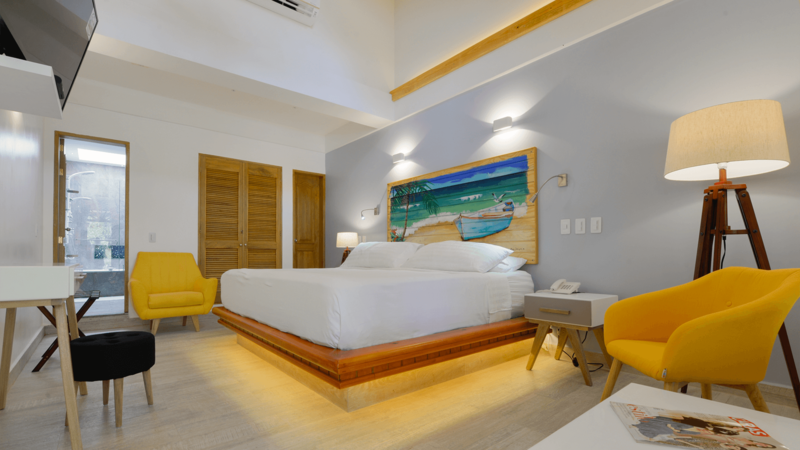 We are part of a guild of commerce establishments that promote sustainable tourism that encompasses the conservation and use of the cultural heritage of San Andrés Island. 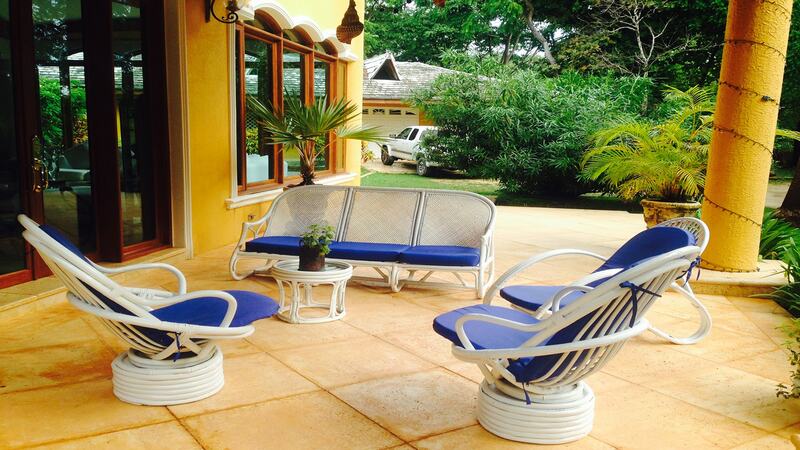 attention and comfortable prices for being a guest of Casa Las Palmas Hotel Boutique. WHAT DOES THE DESTINATION OFFER? 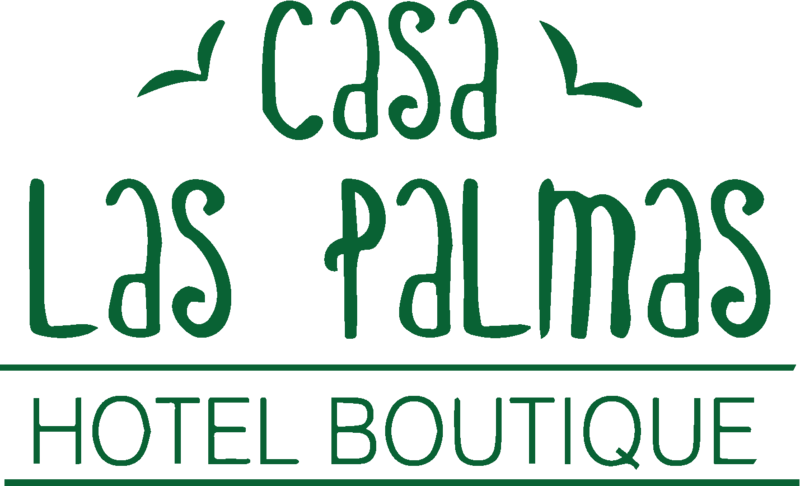 venture to know the fantastic world of Casa Las Palmas Hotel Boutique. 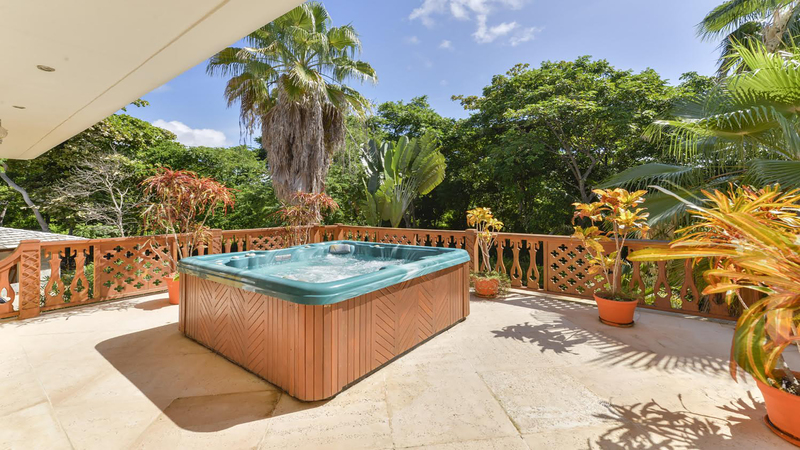 Surprise yourself with a view of the sunset at sunset, explore and know the species that make us a unique place in the Caribbean or enjoy watching the sunrise from the view that offers the beaches of San Luis in San Andres Island. In San Andres Island you will be able to find the virgin nature of one of the main coral barriers, your dream of diving and meet unique species of the Seaflower Biosphere Reserve will come true.